Does anyone know where to find all three of the Utena musicals? Yes you read that right. There are [color=red]three[/color=red] of 'em! The first one is on YouTube [youtube]https://youtu.be/C2HQwzD-LS4[/youtube] with English subtitles, but I have only ever seen possible photos from the other two musicals. As a musical nerd I am desperate to see the other musicals because they actually had a budget for wigs and the like! If there's one website that could find these I truly believe it would be this one. From the wiki articles about them they had new or expanded plot lines. (Anything with more Juri please). 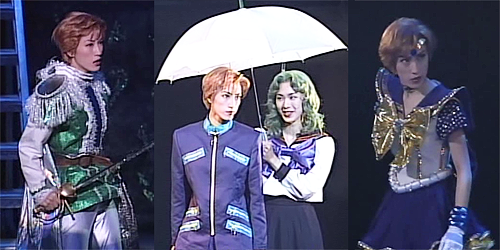 And speaking of Juri, she was played by Sanae Kimura, the first Sailor Uranus from the Sailor Moon Musicals!!! But can we talk about it still?